Even as our train continued to speed past the scenic countryside and the setting sun burnt the skies with a wipe of dramatic yellow, I found myself admiring the paper snowwhite and Redrose had handed over to me, when we had parted just a few minutes before. After living every moment that life had rolled my way, we had finally waved goodbye to a place replete with beauty, culture, history, homeliness, warmth, hospitality... and friends, all packed into one - Nara. Two days in Nara had flown by in a whiffy and though Kyoto was supposed to be the one more popular amongst the two destinations, according to the various guidebooks for all that we read, I now doubted if it could ever beat the magic of my entire Nara experience. 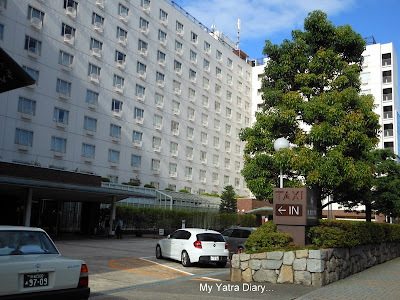 Even as my mind filled up with thoughts like these, Hotel New Miyako – our place of overnight stay in Kyoto was gearing up to offer some sort of consolation. It promised one word and that was - Luxury! It’s grand lavish exteriors were inviting and could easily pass of as any 5 star hotel in India. What added to it’s alluring appeal, however, were the exceptionally reasonable room tariffs that the hotel had offered to us on account of booking it online. Excellent, both for the looks as well as value for money. After admiring the exteriors, we made our way towards our pre-booked standard twin room. ... And, oodles of serenity. Just the kind you want after a long, hectic day. ... And the Bullet zooming past every now and then during the day. 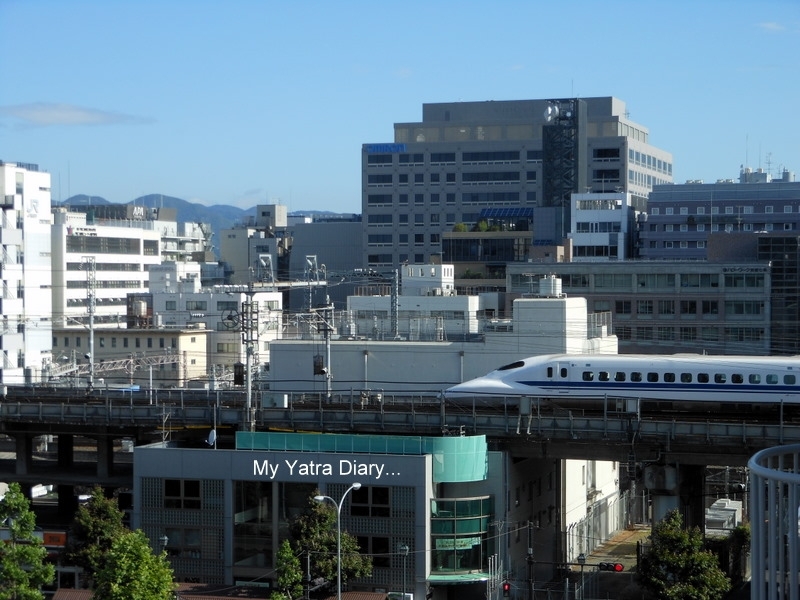 Easy accessibility: It’s proximity to the Shinkansen/ JR/ Kintetsu Kyoto station makes it easier to locate and also serves as a good starting point for getting around. Things I missed: Free Internet connectivity with my room tariff, something that I had enjoyed while my stay in Tokyo (please note that the hotel has free wi-fi) and my Villa fontaine bread - butter – orange juice breakfast, two things I wished for while my stay in Kyoto. Though it was a very short stay of one night, the high degree of comfort, value for money and relaxation infused in the various elements of the hotel so also it's proximity to the Kyoto station have ensured that I’ve bookmarked the hotel for the next time, if ever there is one that is! 1. Book online and save yourself some money: Do not forget to avail the online booking facility and get access to huge discounts on the room tariffs. Sample this – Our standard twin sized room (26 m. sq. in size), otherwise priced at 32,340 Yen, cost us only around 9000 Yen - thanks to stardust and cosmos who booked it for us via the hotel’s internet reservation form! Address: Hachijyo-guchi, Kyoto station, Kyoto. It looks very comfortable and convenient. Love that paper slip of translation! Looks and sounds like a great hotel! Just the kind you want to have on a long trip! Wonderful captures as always Arti!! It is so interesting to see the inside of something that looks so fancy and modern on the outside! And also to see what a non-American hotel looks like and the differences. Is there T.V. in the rooms? Maybe your country does not watch like we do here. 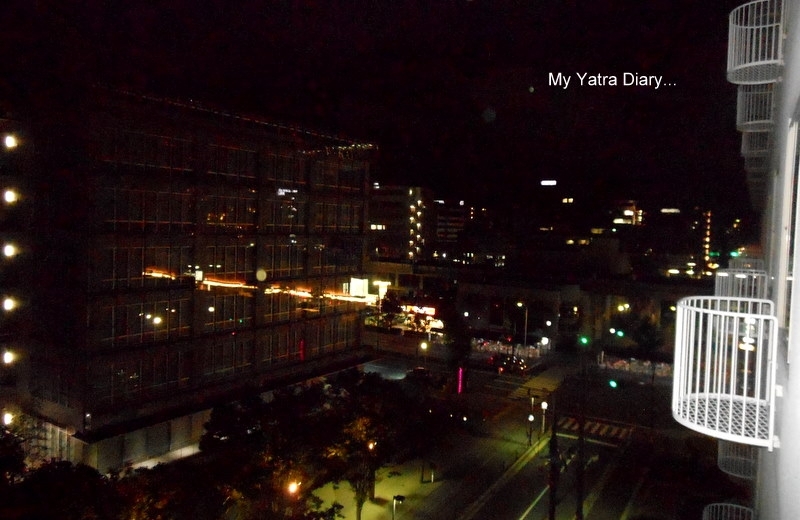 from mountains of Himalayas to techie Kyoto.. Yatra moves! @Ginny: Yes, there was one but no use to us as all the channels were in the local language - Japanese. 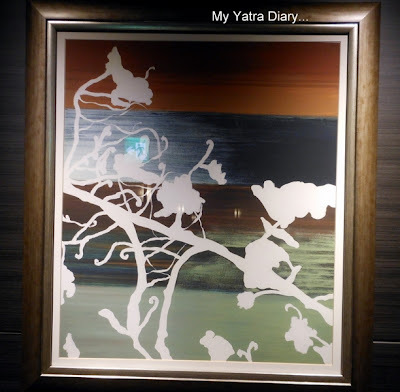 Nice to read you post Arti.Thanks for sharing. Great description of nice hotel . Oh, those fluffy beds look super comfortable! good post. had stayed in kawasaki daishi for a few weeks and can never forget the japanese experience. It's a pity that real great innovation at the highest range is still rare in the hotels business...at the very top end, you can never tell the country - or even the continent - of a hotel by looking at a room from inside. Hi Arti...Looks like a good hotel, and I am glad that it was not those really small rooms that some hotels in Japan have. Really liked the picture of bullet train, almost looks like the front of a plane. 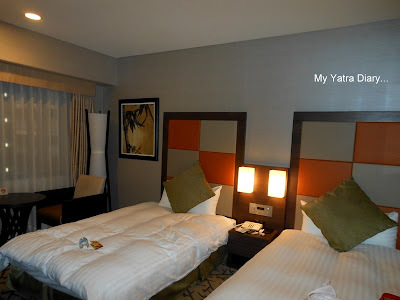 So neat and tidy -- looks like another great travel experience Arti! I'll take your recommendation. I think whenever anyone from Indiblogger will plan a trip to Japan, they will surely refer your post. BTW, when are you going to Melbourne? What a beautiful place. I'd sure love to stay there! yes, I suspect that once visiting Nara it would linger in your heart. I see this from Snowwhite's website and her photos. Your room looked to be very comfortable, but I too would miss Wi-Fi in the room. Perhaps that's a good thing - saving time otherwise spent on-line! I like the Bullet Train, did you ride? (maybe I missed that post). Your travel guide is superb, much useful information and I'm glad you showed us the inside of the hotel. happy week to you Arti. My name is Madhu Nair and I run 10YearItch.com (India Travel Portal). We have introduced a new series of Traveler Interviews where we interview India travel enthusiasts. The idea is to inspire people to get off their comfort zone and to experience the real India. We wanted to enquire if you would be available for the above Interview Series. Like all our interviews, this would be an email based interview, where we email you the questions and you can answer them via email. Looks like a nice hotel, and I hope everything went well for you! Nice looking place. I wish that was my itinerary! You got a good deal and the room looks fairly large and comfortable. Nice review and photos to help future visitors. You were so fortunate to get a nice hotel at a good bargain! I knew online booking but it was a surprise at such a big difference. You must've had a goodnight sleep after a long hectic schedule in Nara and for the final exploration in Kyoto the following day. I remember your smile, Arti. Thankyou for the interesting review on the hotel.I too found the hotels in Japan really excellent and staff so helpful. I loved my visit to Japan. I didn't however get to Nara but did see Kyoto. We are happy that paper was helpful for you.I was surprised to see that you have still kept the paper...Please keep it until we meet again in Nara!!! Now I am recalling your charming smile on your face. Hi there - did not know about the coincidence of our National Days. I may have travelled on that train! Thank you everyone. I hope this post can serve as a good help to all those who plan a trip to Kyoto and are looking for a good place to stay. @ Madhu, Ten Year Itch: Thank you. I like the initiative and would love to be a part of this. Please write to me further at 22arti(at)gmail(dot)com. @ Ms Becky: True perspective. The hotel’s internet café had separate charges and though the room had wifi, it was useless to me since I was not carrying a laptop. @ Saru: You are right, Saru :) Their blog names are indeed very creative and their content is very rich too. Regarding Melbourne, things still lying in the pipeline. It'S nice to visit Kyoto. Miyako hotel is very near to the Kyoto railway station. I expect your next post about Kyoto sightseeing. Quite a neat and beautiful hotel. Not at all what I was expecting, I think the inside is so much nicer than I had imagined looking at the outside. It is always so interesting to me the many ways there are to save money on hotel rooms, air fares,cruises, pretty much any travel! The smart planner can save a bundle. wow, another great tips for a visit to Kyoto and Japan, wow, did not know you have posted 7 already about your trip to Japan, love it, very helpful for those planning for visit there. I’m happy to know that you were so satisfied with the hotel. 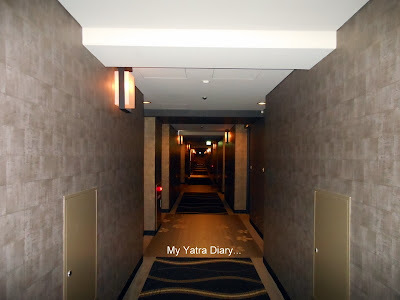 I smiled to remember that we (cosmos and I) didn’t know your family name and booked a room as Arti Yatra. 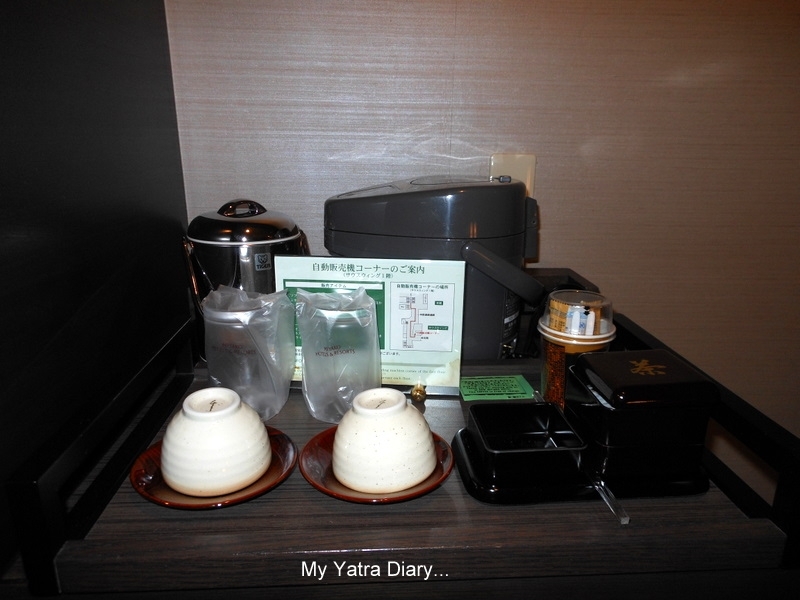 :-) As you know, accommodation fee is so costly in Japan, so booking online is highly recommended. Thank you very much Yoko (and cosmos) for helping us out with the hotel bookings. 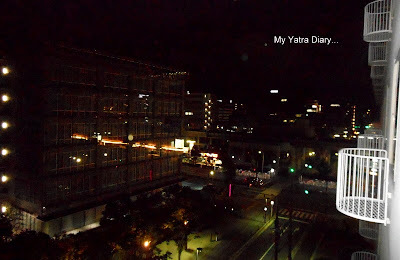 To find everything organized, planned and booked for us well in advance gave us a wonderful feeling once we were there, in Japan. I remember very well about the name, it makes me smile too... the blog, the yatra had been a beautiful connector throughout... Thank you once again and kindly excuse me for my being lazy and replying late here. Do you, Arti? hahaha.... surprising!! Good review on the hotel! awesome snap of the bullet train passing right through the heart of the city ! Great review, Arti. I'd love to experience the serenity and homeliness you describe. Just the thing you want after a long day on the road. Love the sound of the word Nara -- at least the way I think it should sound. I agree with you when you say It could beat any Indian 5 star hotel. Specially the view outside was great with Bullet train flying there. It is a delight to read your travel posts Arti,they are warm with a personal touch!